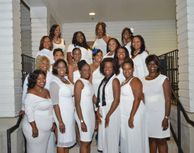 Six phenomenal women were asked to charter an undergraduate chapter by the undergraduate members of Phi Beta Sigma Fraternity, Inc., located on the campus of Georgia Tech. The Sigmas made this request because they were receiving an overwhelming interest from young ladies on campus to join the Blue and White family. 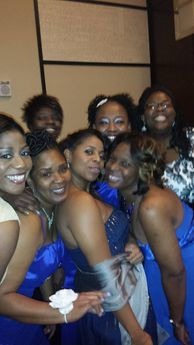 During that time, there was no established undergraduate chapter of Zeta Phi Beta on campus; a graduate chapter had to exist in order to sponsor and charter the undergraduate group. In the Spring of 2000, Rho Xi Zeta sponsored and assisted with chartering Gamma Rho, the undergraduate chapter located at Georgia Institute of Technology. Rho Xi Zeta currently serves as advisers to the Gamma Rho Chapter of Georgia Tech, and since 2006, the Omicron Nu Chapter on the University of West Georgia located in Carrollton, GA.
Over half of the chapter members have obtained or are currently pursuing advanced and professional degrees. All members of the chapter have worked in volunteer roles at various organizations and have given generous financial donations to many other non-profit organizations. The chapter was recognized at the state level in 2009 and 2014 as "Chapter of the Year" and first place for the "Z - H.O.P.E. Awards". The remarkable ladies of Rho Xi Zeta are looking forward to another year and the opportunity to provide service, sisterly love, and exemplify finer womanhood.